Welcome to the 2017-18 Cohort’s March edition of the Fulbright ETA Monthly Highlights. This month the ETAs hosted their local WORDS Competition, a storybook and storytelling event, where the winner moves on to the National Competition in Jakarta! March has been a busy month for practicing and preparing. But the ETAs also found time to engage with their community, host friends & family, and attend cultural events! Read on to find out more about our ETAs’ highlights for the month of March! Many thanks to all of the ETAs for their wonderful stories and photos. During her students’ week of midterm exams, ETA Nitika Johri had the week off of school. 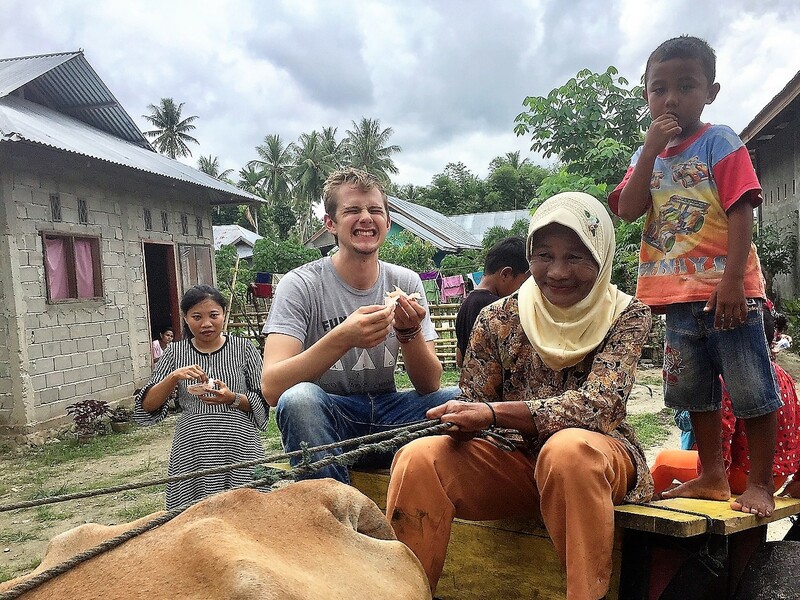 Her family came to visit the island of Bali. 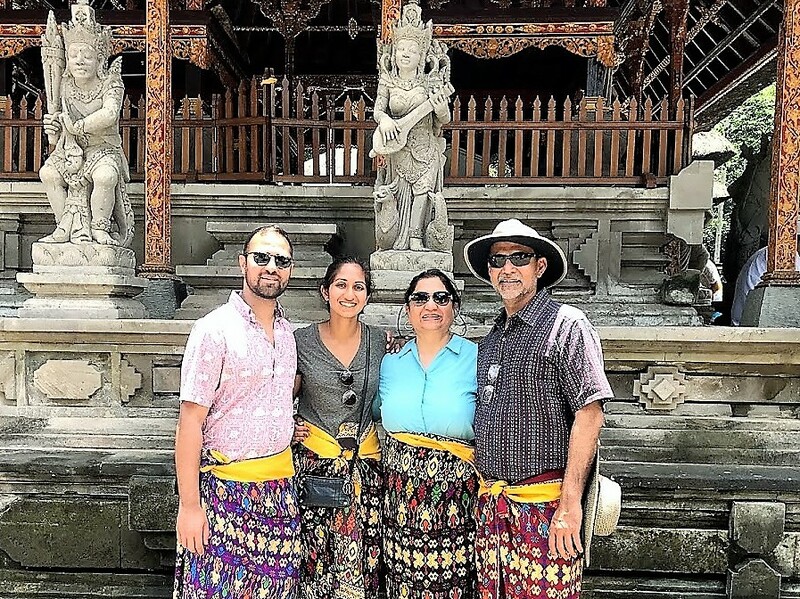 Nitika met her family in Bali on the day before Nyepi, a Balinese Hindu day of silence to celebrate the Saka New Year. On their first day, they watched the.. Read More.. The last week of March was an especially memorable one for ETA Nageen Sherani! She spent her time off from school with her mother who came for a short visit to Indonesia. They were both excited to see parts of Indonesia together and also each other. 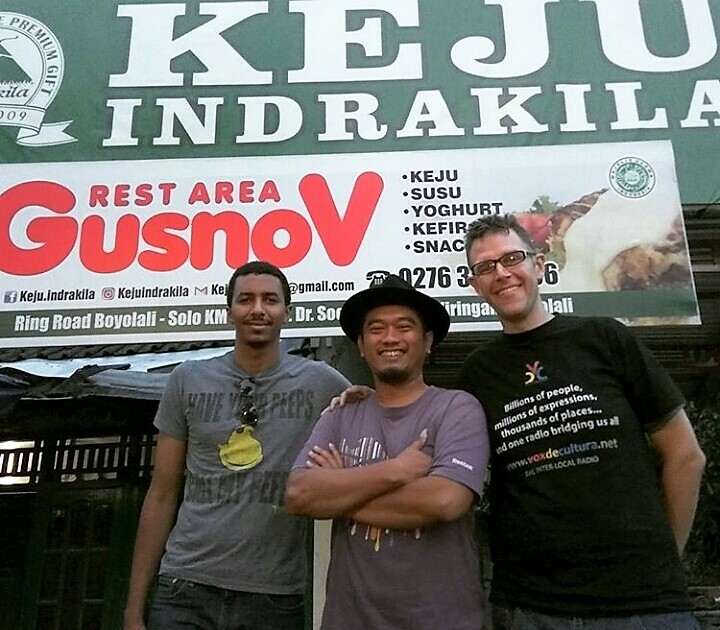 After exploring Jakarta for a bit, the pair headed.. Read More.. 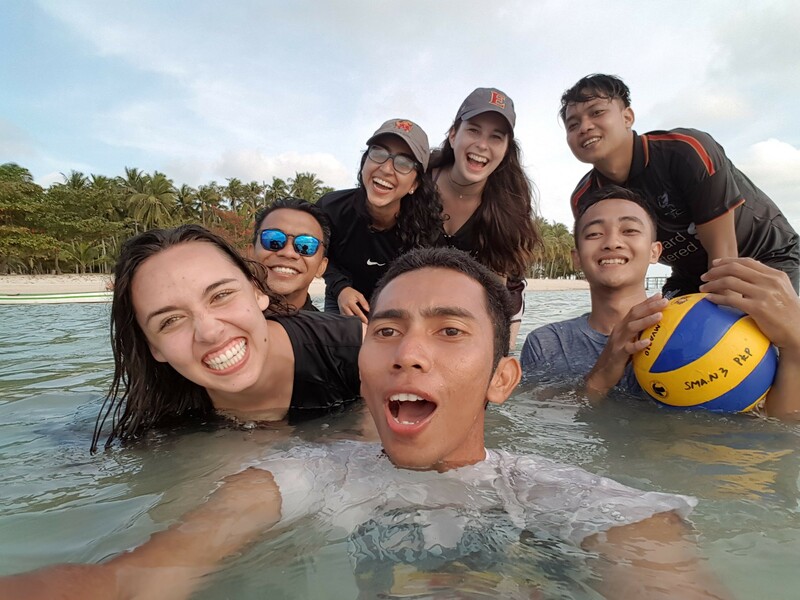 Working at a tourism school, students and teachers often ask ETA Kate Morrow where she has travelled in Bangka Belitung. 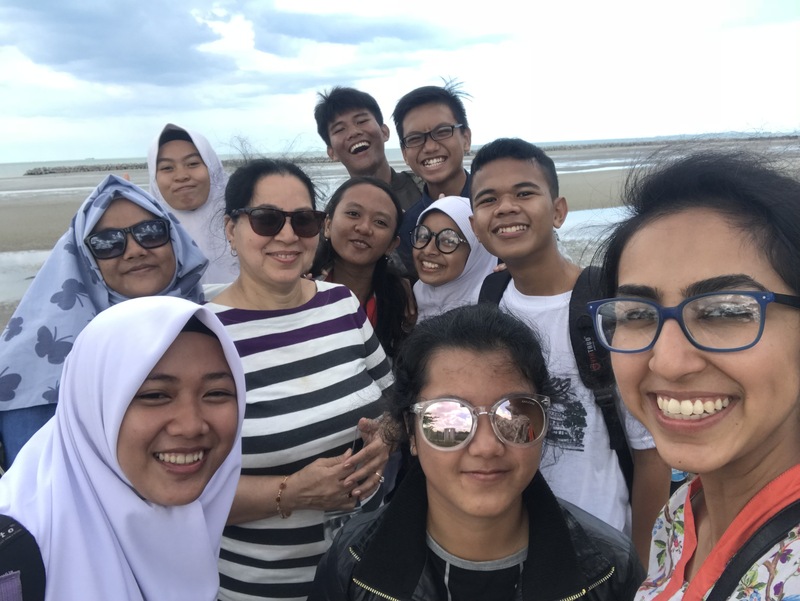 One of their favorite questions is, “Have you ever been to Ketawai Island?” Previously, her answer was “Not yet!” However, when another ETA Kelly Richard came to visit, Kate, her site mate ETA Nageen Sherani,.. Read More..
ETA Alex Bue and his students went to see Black Panther, the latest and biggest American superhero movie. The event celebrated students’ participation in a storytelling competition at SMAN 11 Padang. It was a difficult task – the prompt was to talk about “Where you’re from” – but students wrote about their homes with skill.. Read More..
ETA Khalid Osman’s highlight this month came from an unlikely source: cheese. Many months ago, Khalid befriended the owner of a cheese factory headquartered on the outskirts of Boyolali. This gentleman, hereby referred to as “Novi”, was an alumnus of SMAN 1 Boyolali and a rising entrepreneur. 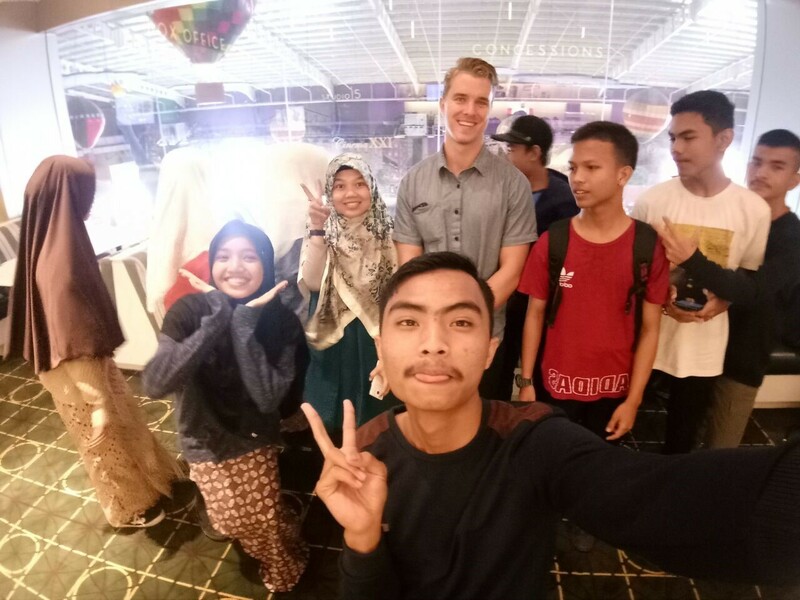 Novi shared his experience building his business from.. Read More..
Ian, a student in one of ETA Ian Morse’s classes, invited Ian to her birthday party. So early on Friday morning, Ian picked up Ian to go to Ian’s house just a short drive away. Now, Ian’s student actually has a much larger name, but since the first day of class in August, she has.. Read More.. 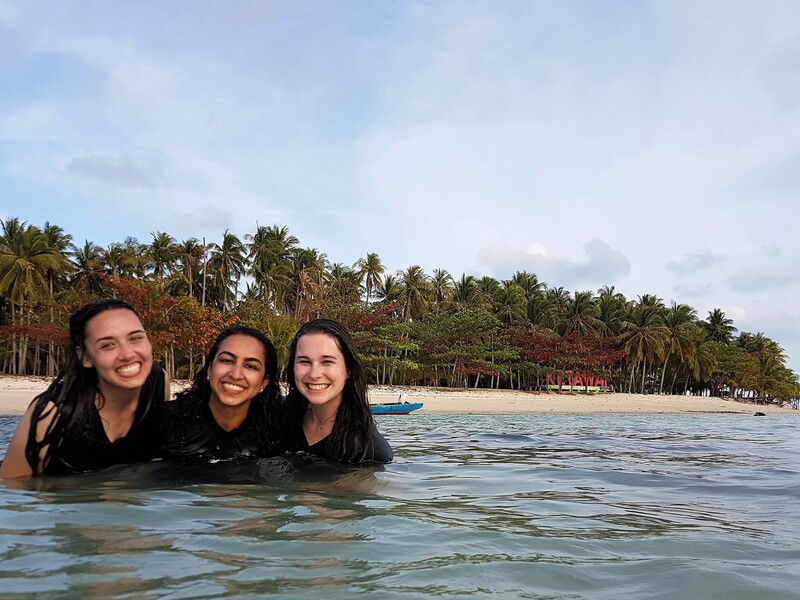 This month, ETA Kelly Richard took a short trip to visit her friends ETA Kate Morrow and ETA Nageen Sherani in Pangkalpinang! She was so excited to travel further west and get a chance to see a different side of Indonesia! Kate and Nageen picked her up from the airport and together they got coffee.. Read More.. This month, ETA Kyra Ghosh had the chance to attend a traditional Manggarai engagement ceremony. 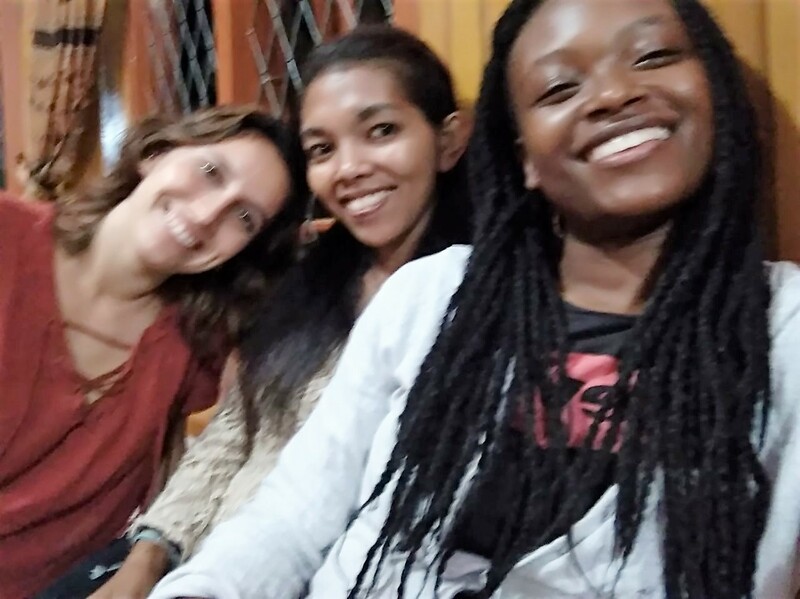 One of her friends became recently engaged and she attended the ceremony with some of her Indonesian friends as well as ETA Arshelle Carter. They all arrived and immediately lined up for a meal of rice (of course), fried tempe,.. Read More.. 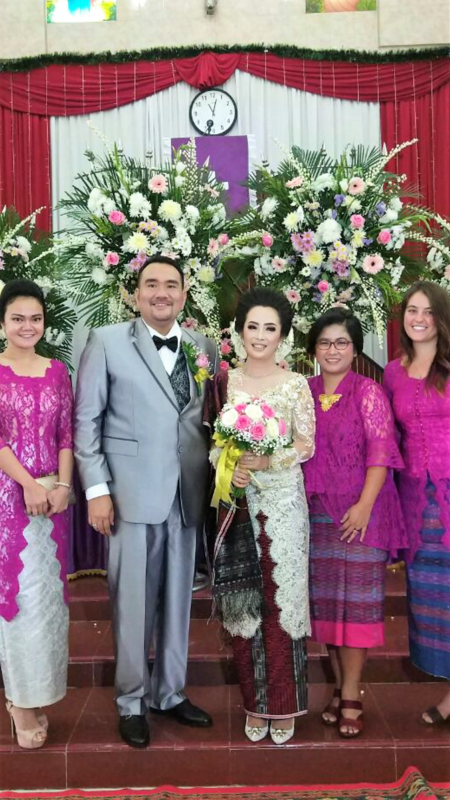 This month ETA Amy Quirion had the pleasure of attending her first full, traditional Batak wedding. In her time here, Amy has attended now three Batak weddings, but did not attend the full ceremony of the past two weddings. On March 17th, Amy’s friend Stevi got married and invited Amy along with two other friends to.. Read More..